Join us for a night out in beautiful Brasov. Combine craft beer, cheese and a walk around the old town, into a night to remember in this jewel among Transylvanian towns! We are the proud operator in Bucharest for Urban Adventures. *By booking directly with us, and for a limited time only, you get a 20% discount for all purchases on this tour by using this special promo code INTERESTING2. Just use the Book Now button below to get your SPECIAL discount. Meeting Place: Meeting place: In front of the Primaria Building (City Hall) , next to the statue of the she-wolf. You know what they say : beer makes history better and we want to make sure that you will agree with us by the end of this tour! 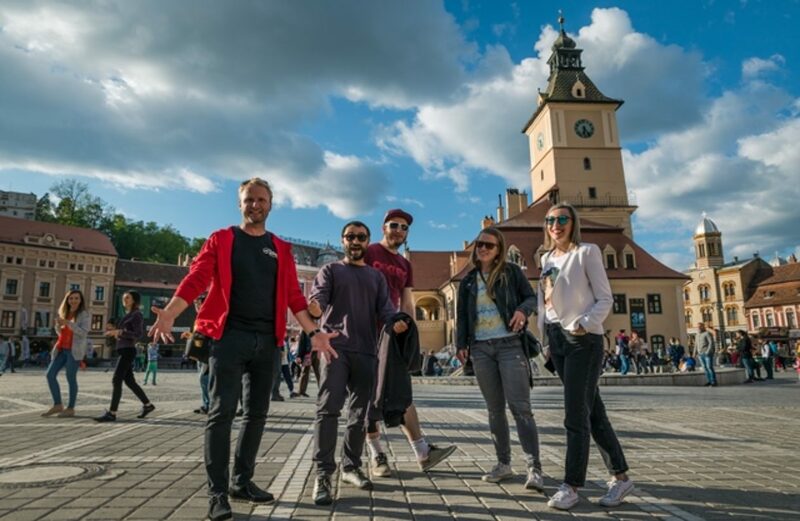 We’re confident that we’ve come up with the most fun way to discover our beautiful city, combining beer with a stroll through the charming streets of beautiful Brasov. 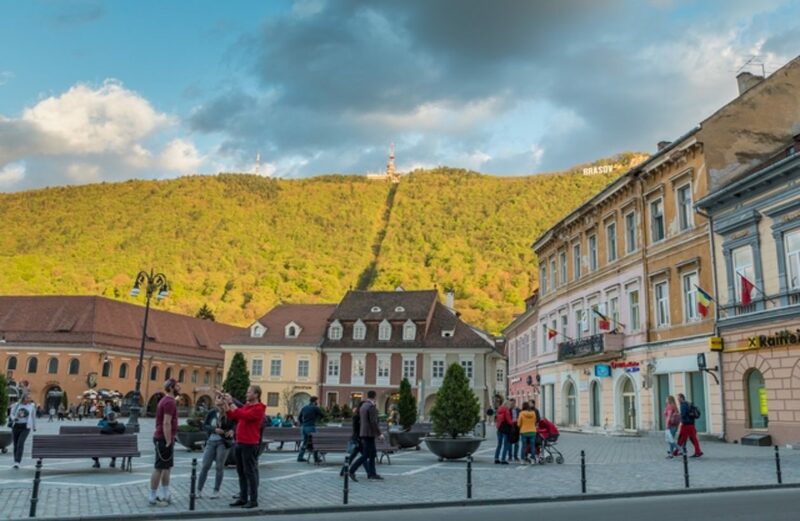 We will greet you in front of Brasov City Hall (known by locals as Primarie), next to the Roman she-wolf statue. 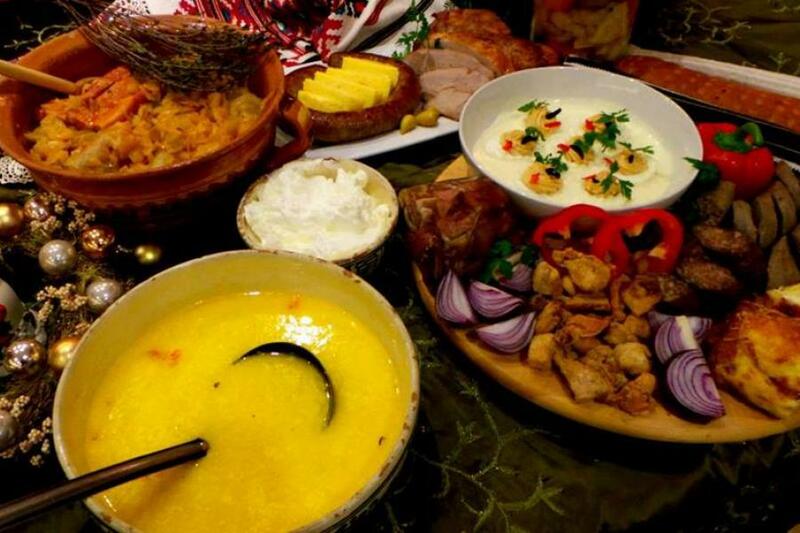 Following a brief introduction to the area, we will make our way to our first stop to meet a local street food vendor to sample a traditional Romanian street pastry – we can’t have you drinking on an empty stomach can we?! 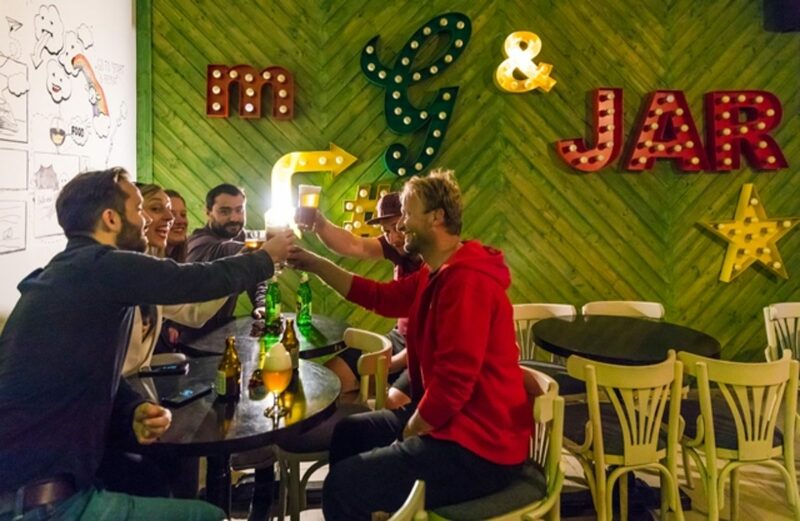 Just in time for our first beer of the evening we’ll head over to one of our favourite bars, a short walk away, where we will enjoy a local craft beer accompanied by a traditional cheese platter (prepared with a twist) – delish! 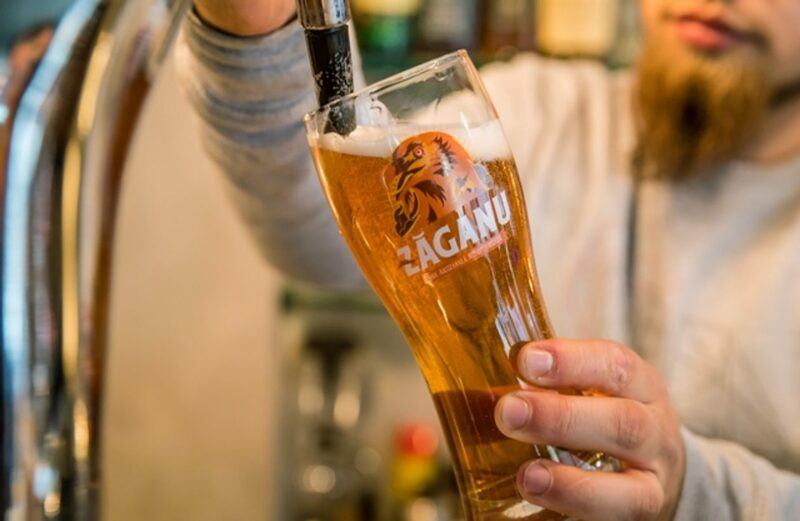 We’ll chat about the brewing processes and the passion that goes into beer-making in Romania. 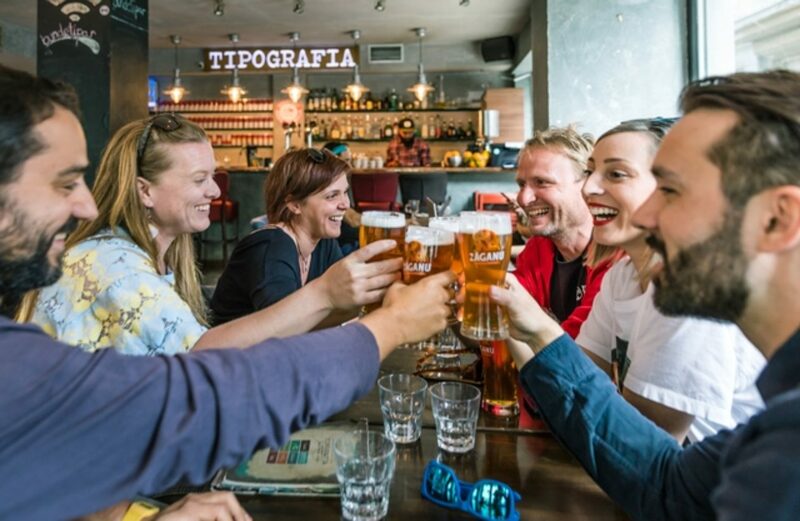 Throughout the tour, we’ll talk about the up-and-coming craft beer scene in Brasov and introduce you to our local history and culture with a carefully curated assortment of tales that are sure to get you bang up to date! With our beer buzz setting in, we will continue our walk through some of the Old Town’s most scenic streets offering you the chance to discover some of the main tourist highlights which perfectly reflect the city’s Saxon past. 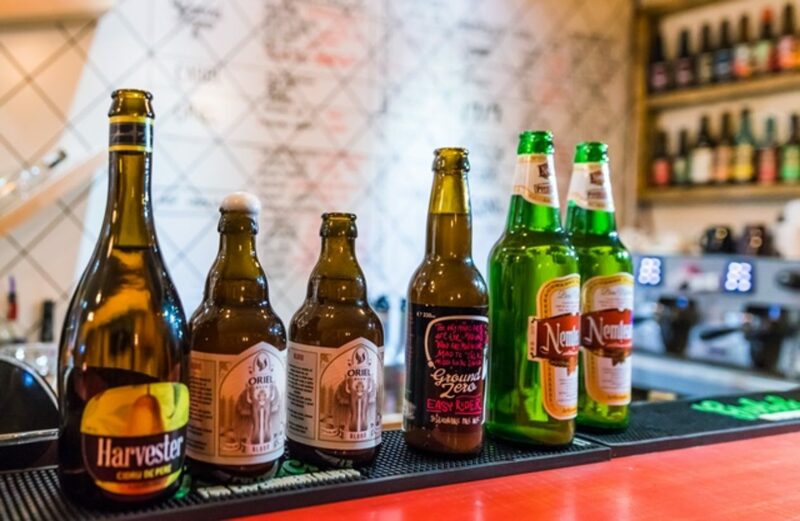 Our last stop will be at a bar which offers the largest choice of Romanian craft beers in town. We’ll order one more beer here and continue our stories about this great city, which was once besieged unsuccessfully by none other than Vlad Tepes (aka Dracula). Our tour ends here but before you go, don’t forget to ask your local guide for tips on what else to see, do and eat during your stay. 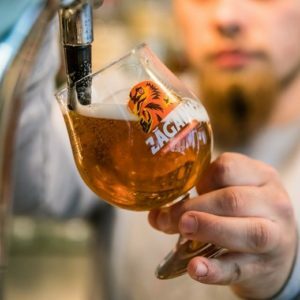 It’s very likely that you will choose to continue exploring Romanian craft beers after the official end of your tour; feel free to stay a little longer, chatting with the very interesting local crowd. More often than not, we’ll be more than happy to join you!